This cherry nails are a month old manicure too just like my Green dice nails. 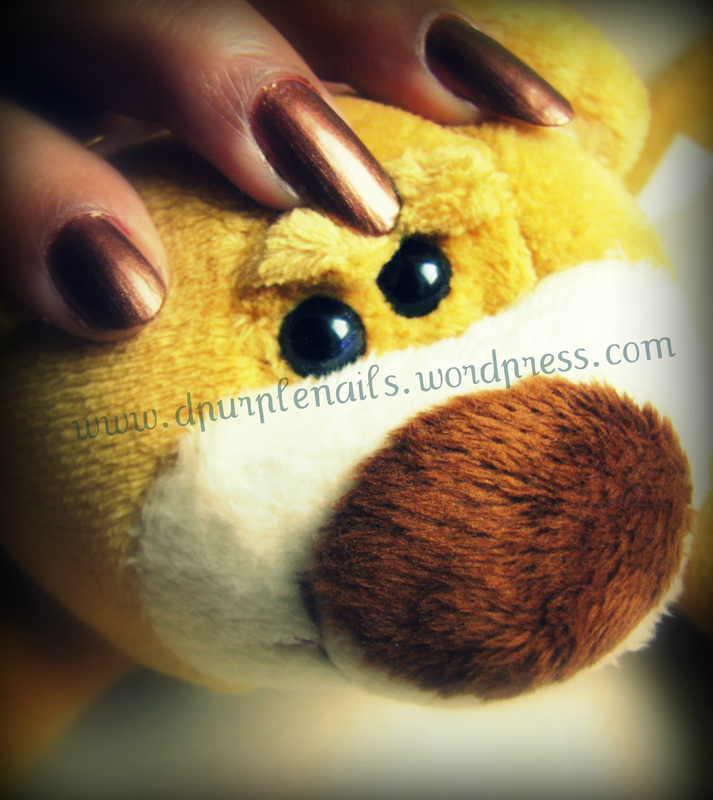 I want to share all my old manicure photos with you all. 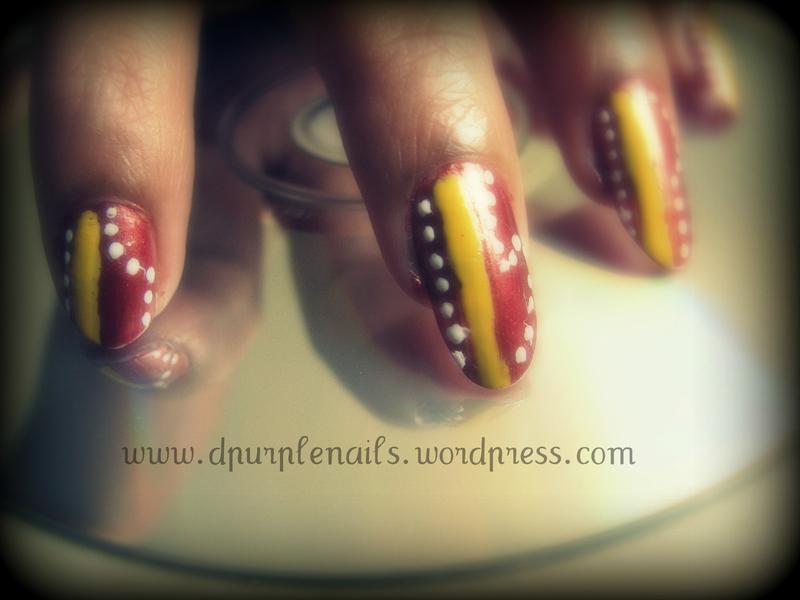 Thats the reason I am digging out all old photos to find my nail arts. Here for this manicure I used 3 colors. White, red and green from “Enchant”. 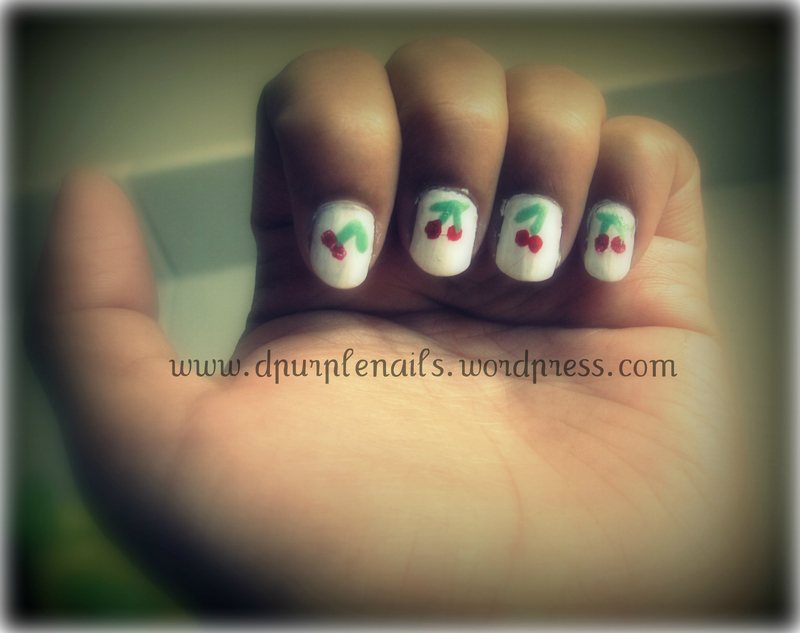 Used normal paint brush to draw these cherries and leaves. It looks simple and cute on short nails. This is old manicure done when my nails were short. This dice design goes well with short nails than long ones. 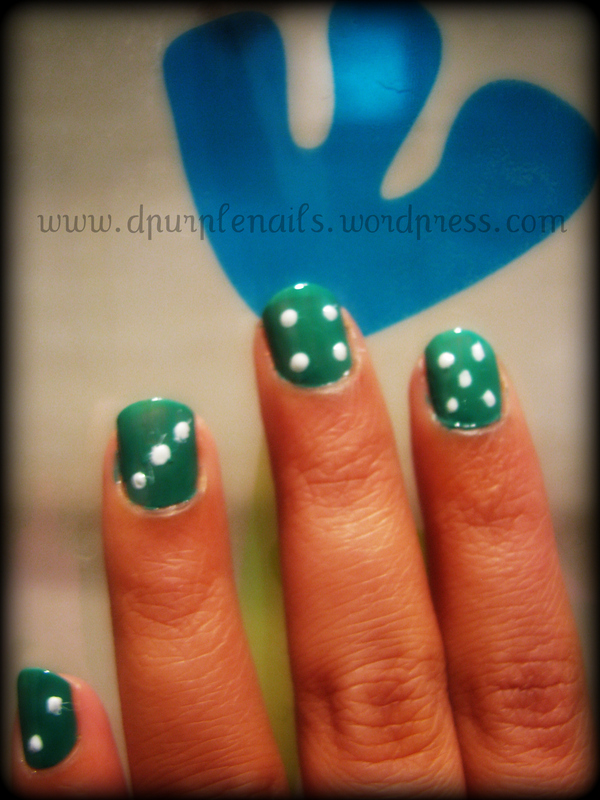 I used green and white from “Enchant”. Used dotting tool to draw those dots. Different colors can be used for the same design. 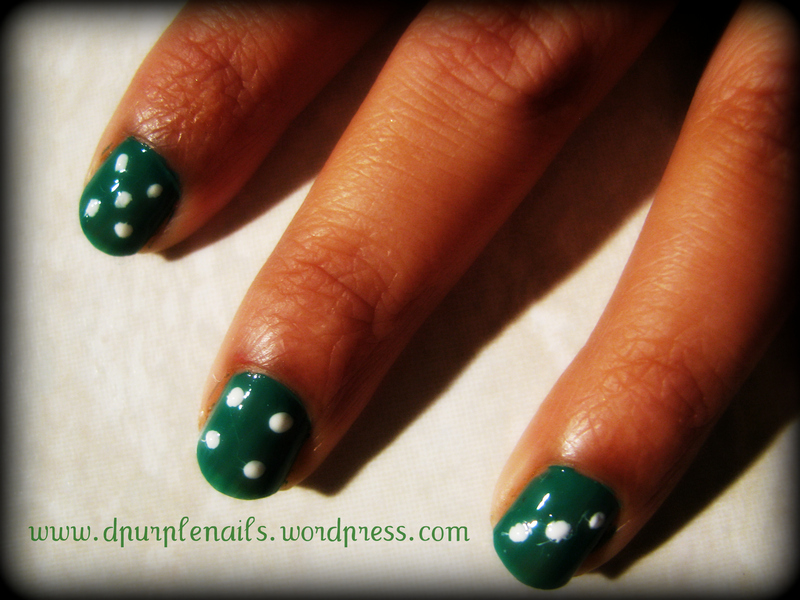 Very simple and quick manicure. Here is my white dotted manicure. I have used here three colors. 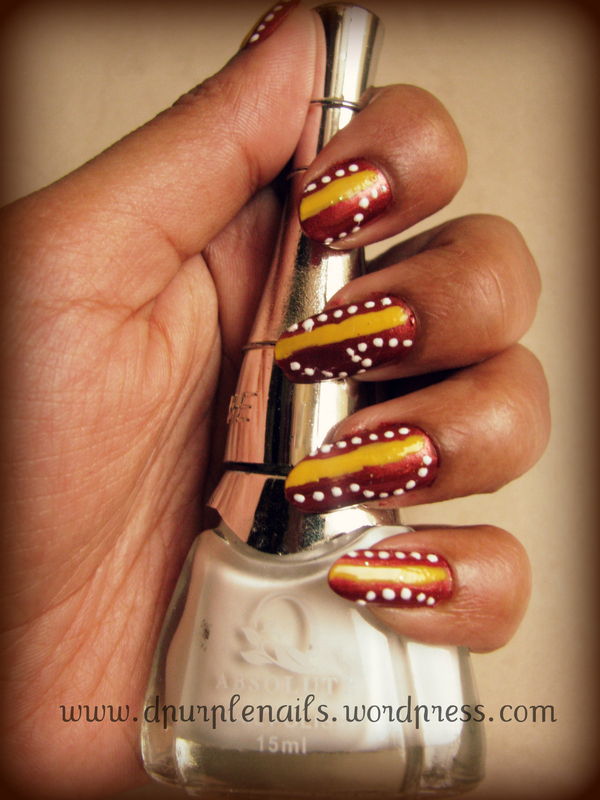 Maroon and white colors from “Enchant”, yellow from “Essence color and go” . This is not fancy, or heavy designed but simple. 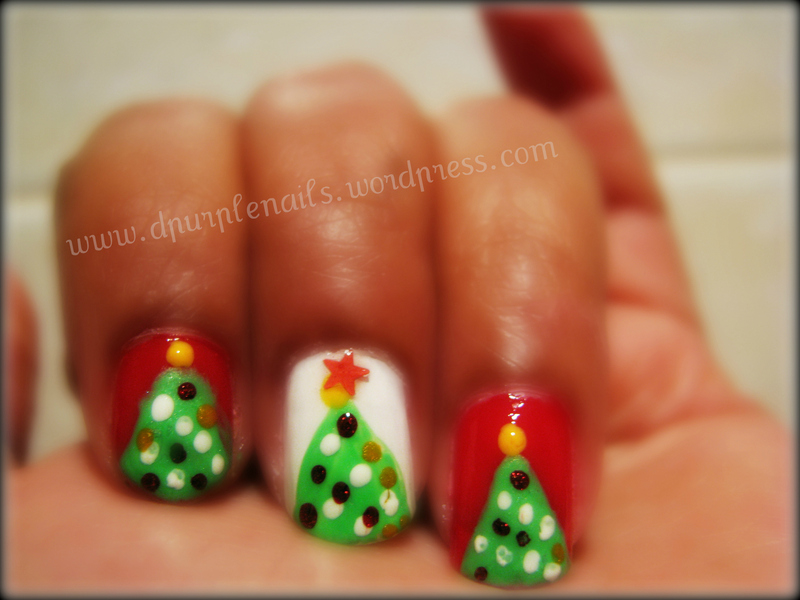 I used red, white nail polish from “Enchant” as base color and used green color to draw tree from same polish brand. Used golden and maroon colors to draw lighting and a star nail sticker on the top of the tree. 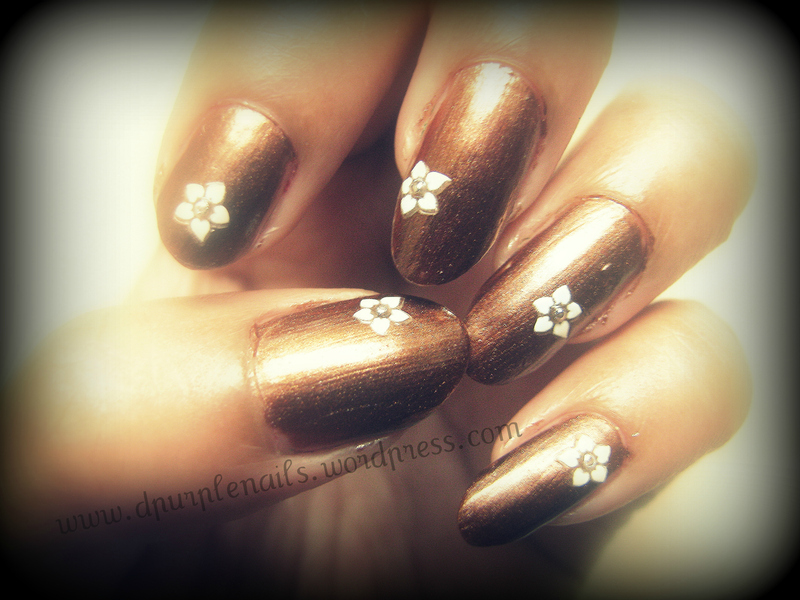 Here is very simple manicure where I used only a brown color polish and some nail stickers. Its glossy, not plain so it gives rich look. And I used flowery nail stickers. This teddy is one of my birthday gifts from mom 🙂 Its my favorite. 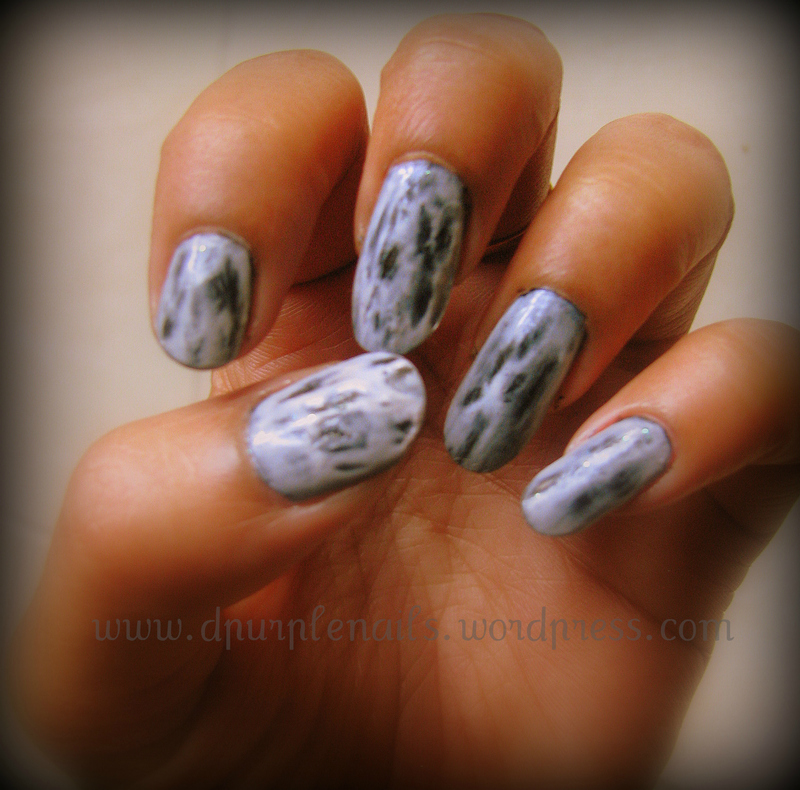 Hope you liked my manicure..
Black and White shattered nails.. 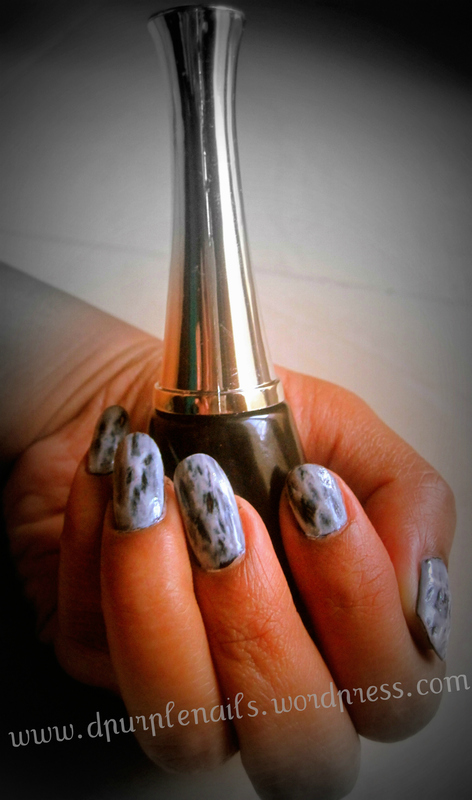 This is similar to crackle nails, but by using normal nail polishes. First I applied 2 coats of black color polish from “Enchant” and let it dry. Later applied white color from the same brand. Before it dried I took a cotton earbud and made the design. 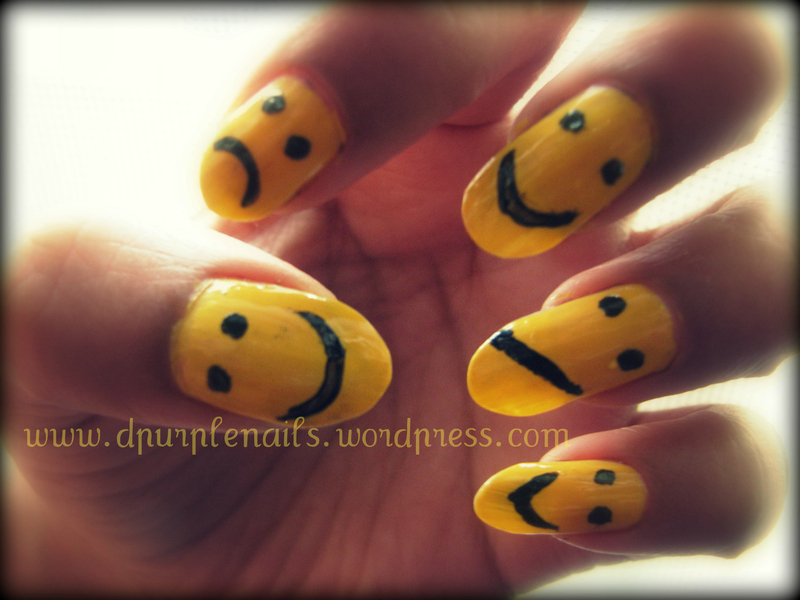 Here are my smiley nails, with different expressions. This is photo is of 2 months old manicure. 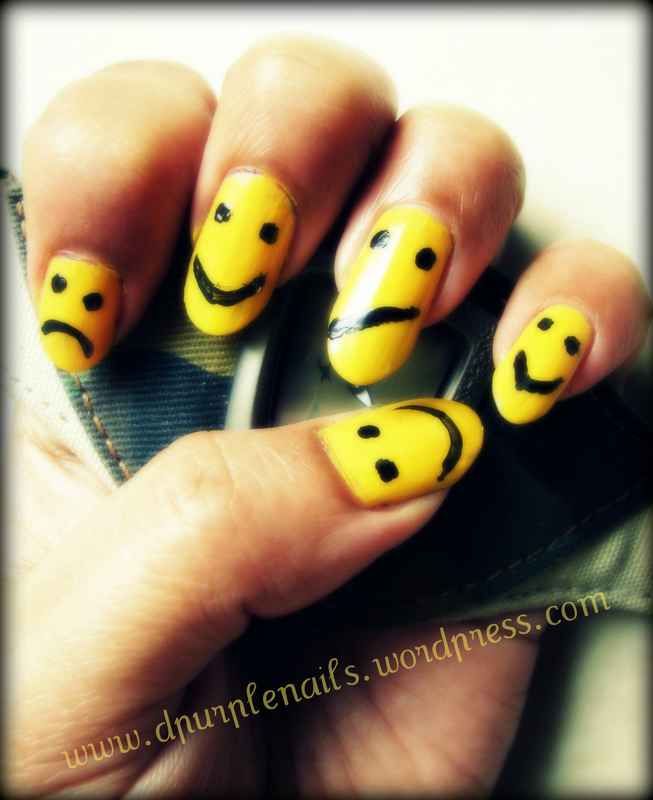 Yellow smiley balls are inspiration behind these nails.